Many people jump in to property projects with enthusiasm and can’t wait to get their deals moving forward. But according to Ray Khan, property entrepreneur, tax and business advisor and founder of leading accountancy firm Khan Morris Accountants, a few hours spent going slowly at the start can save you thousands later on. 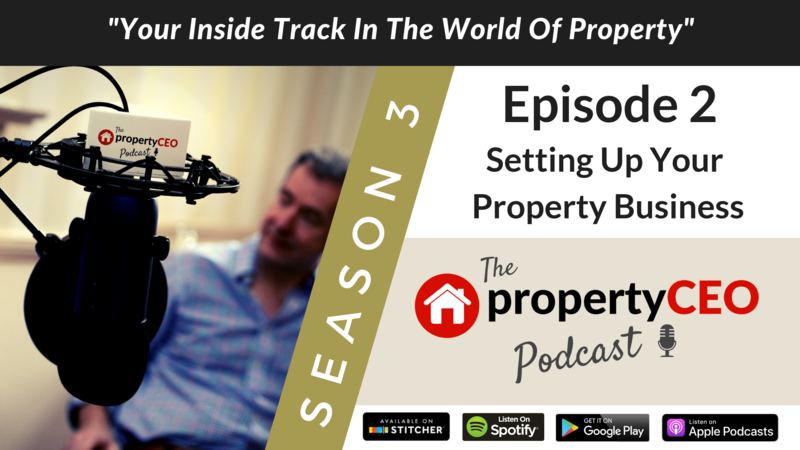 In this episode Ray tells us some of the things we should consider when setting up a property business. He also shares some great tips on what to look for in an accountant and tax advisor, and how by getting the structure of your business right you can become much more tax efficient. Ray also gives us a few revelatory insights following his recent trip to Le Mans with Ritchie Clapson, including how NOT to borrow a Rolls Royce. Disclaimer: The propertyCEO Podcast does not provide financial, accounting or tax advice. Always engage the services of a qualified professional for finance, accounting and taxation advice before acting on any of the concepts described in this episode.